Like every mom, I did a lot of research before using the available market product because my kid’s skin is more sensitive as compared to the other kids of her age. She gets suntanned very easily and skin looks red in minutes. I find that most of the baby products, be it a lotion or shampoo, it contains toxins, which are harmful to kids skin. One day someone suggested me about the brand Mamaearth, which manufactures kids organic products. Since we all know that Mamaearth is a brand by a parent, for a parent. It is a brand which develops a product after a world-class research. The products of Mamaearthare mum-baby friendly, toxin-free, meet strict international standards and are basically ultra awesome. Their aim is to manufacture the products which welcome all our babies to a healthy and safe world. 1. It has a protective lid, which keeps wipes fresh for a long time. 2. The texture of the wipes is more cottony as compared to other wipes. 3. The fragrance of the wipes is more of citrusy fresh fragrance and is not very strong. 4. It is Hypo allergic. 5. It contains 100% organic bamboo cloth. 7. It is made with Almond oil and Aloe vera gel. 8. The Mamaearthproducts are toxin free and dermatologically tested. 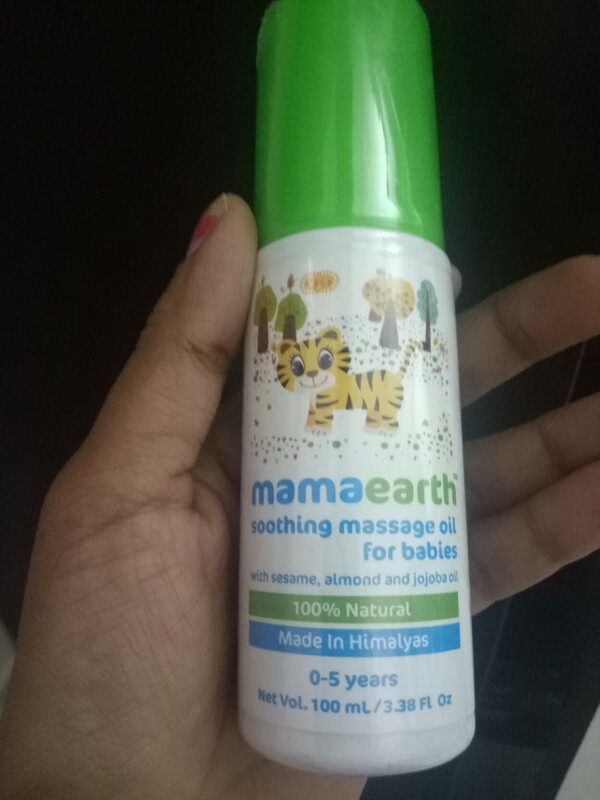 The other products which have also come in the market by Mamaearthare Mamaearth Soothing Massage Oil which has Sesame Oil and other oils which protects your babies skin from pollutes the air and U.V rays and moisturize your baby’s skin. 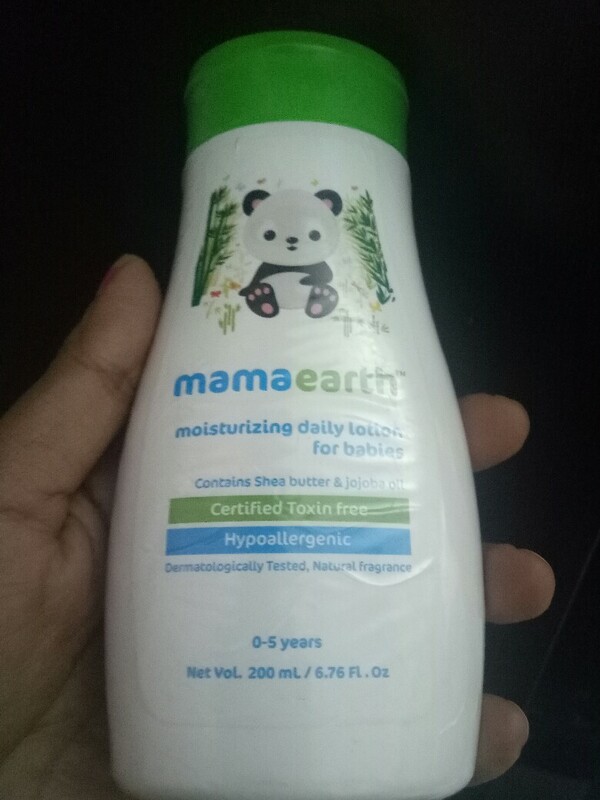 It also has Mamaearth Moisturizing Daily Lotion for babies which contains Shea Butter and Jojoba Oil, which are really very good for infant’s skin. Thanks to #Mamaeartha brand which produced India’s 1st organic bamboo based wipes, it helped a lot in protecting the skin of my daughter in a recent trip to Kerala beaches. The wipes were so cool that she kept the wipes packed in a bag, all the time with her. So, a suggestion to all the new moms to try the Mamaearthproducts once and feel the change. I assure you will surely like them as these products also help to save the environment and are biodegradable and don’t affect the nature. They believe in saying #saynotopolyster and use natural things. Crushing on these wipes, non polyster, organic they are bamboo wipes, compeltely safe for kids!!! Mamaearth is one of the best organic brand which is best for new born to adults. I just love the range of kids products that mamaearth offers. Bamboo wipes really my favourite ones. Mamaearth products are indeed great when it comes to having allergic free soft and pure products for our babies. Love their range. I must say these wipes are really revolutionary..we should move towards a greener earth and these wipes being biodegradable, support just that! these are good wipes for babies from Mamaearth.. Organic and safe..
NO doubt MamaEarth products are great. Most of their products have been a hit for me and my kid. Loved these organic wipes. Yet to try out the lotion. These wipes are not polyester which is the best thing I can say.. The quality seems awesome.. Love it. They are coming up with an amazing range of products, and these wipes are one of them! It’s looks good for baby’s.